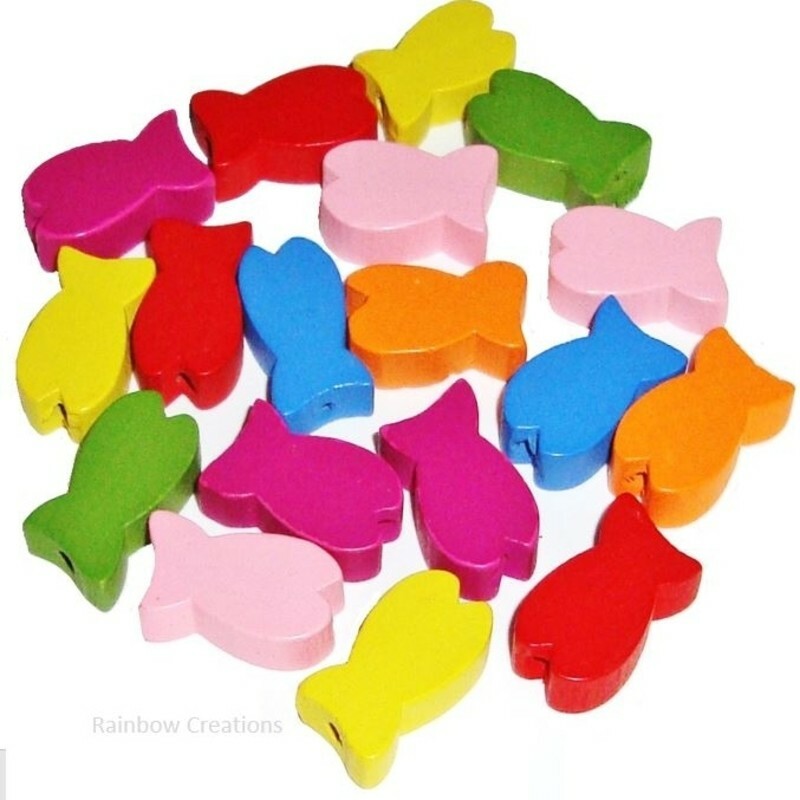 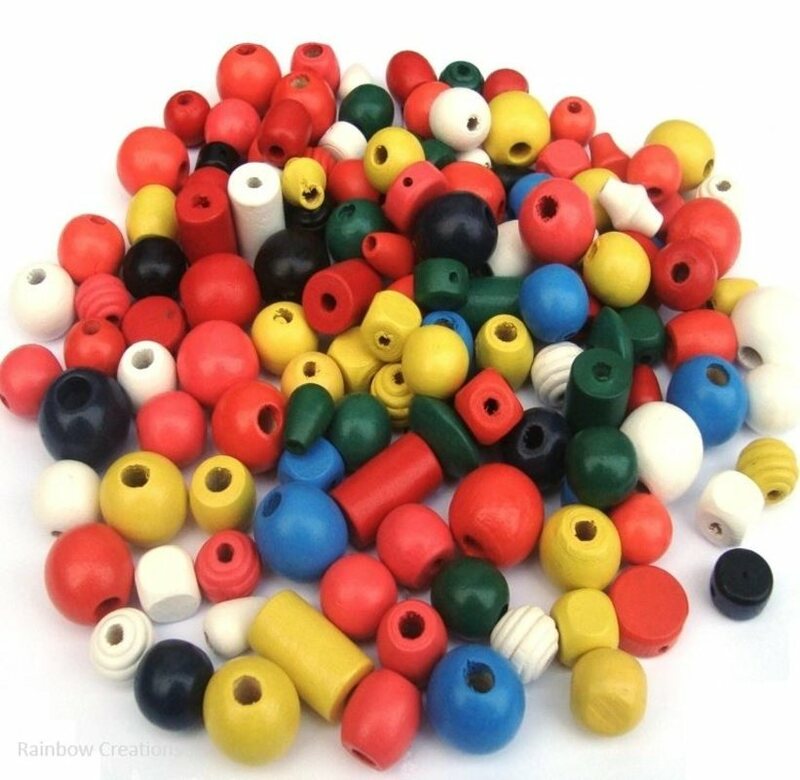 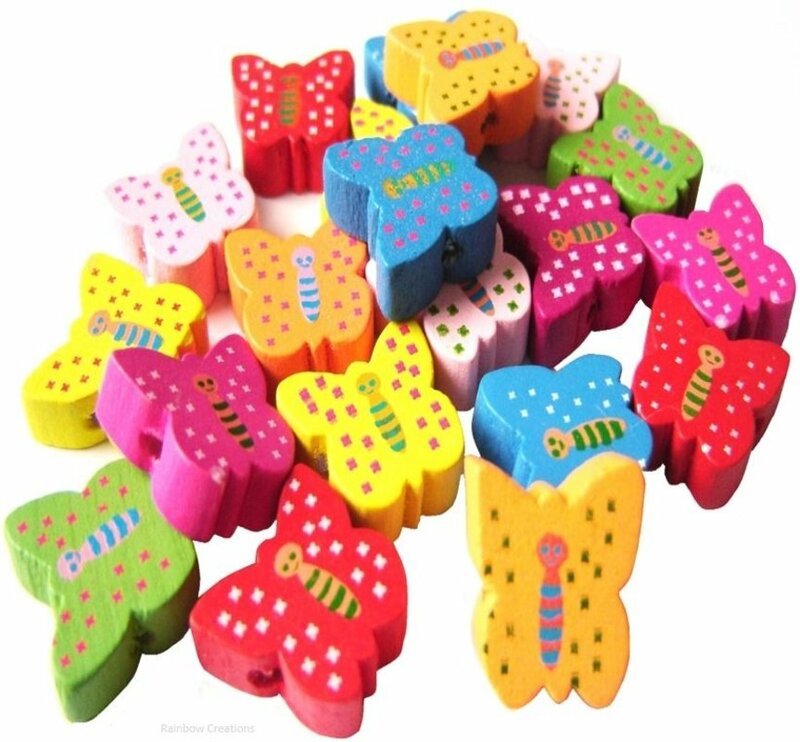 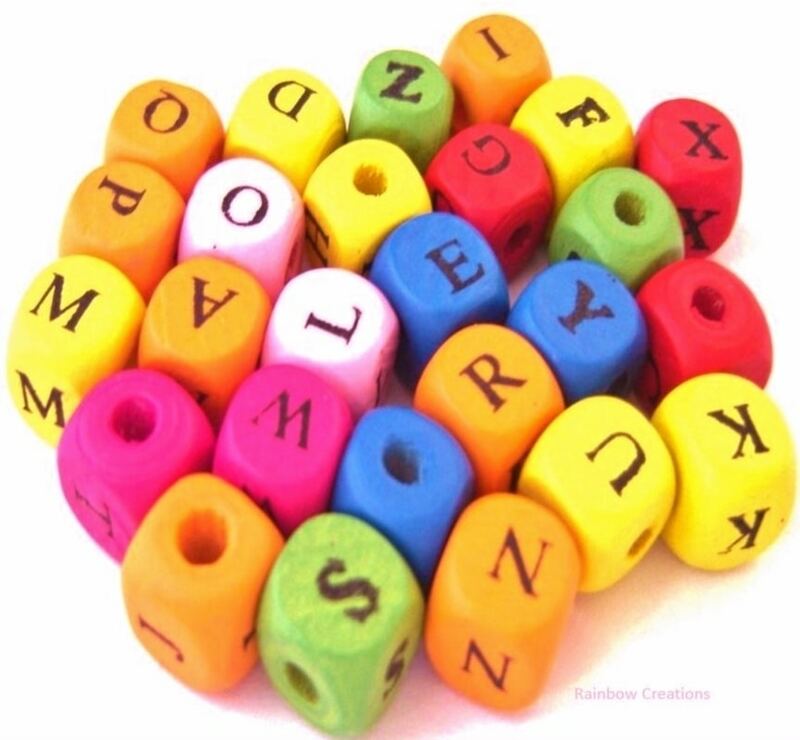 Beads in the shape of a butterfly made from brightly coloured wood for children to use. 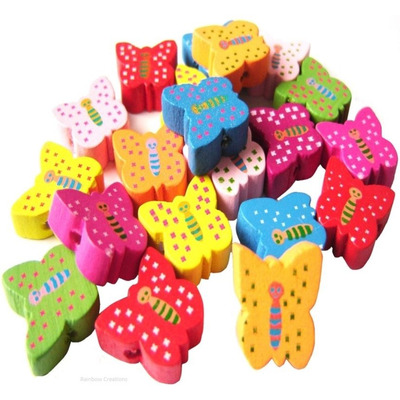 These beads are cut from wood in the shape of a butterfly and perfectly smoothed before colouring. 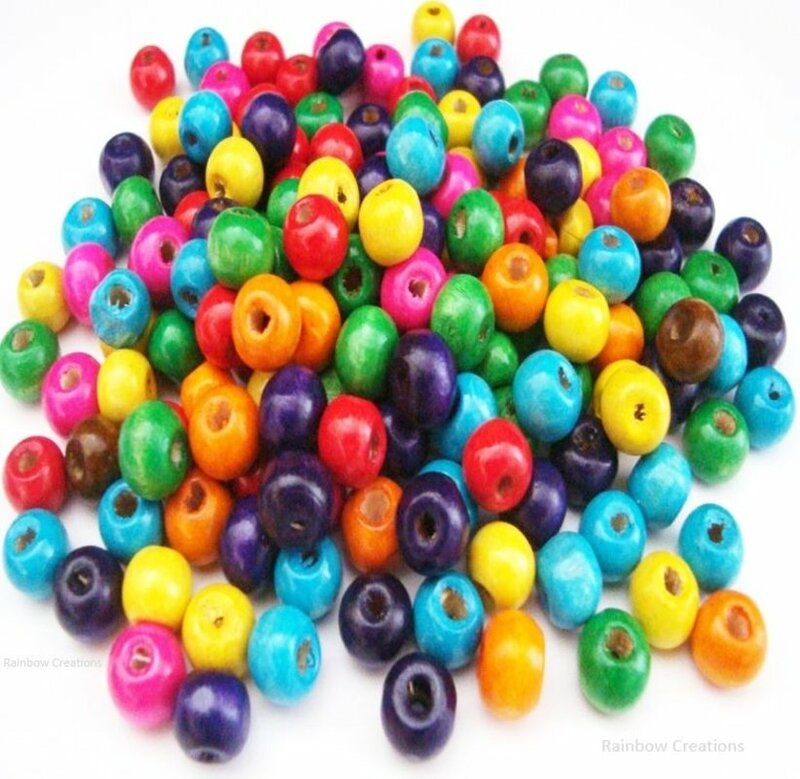 Please take note, standard laces are not suitable for these beads as the threading hole is too small.